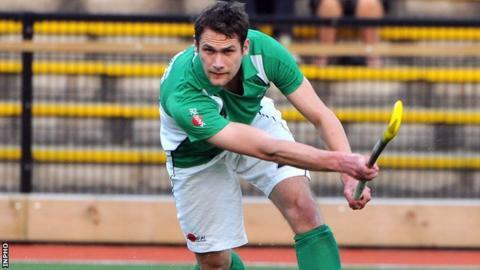 Ireland completed their preparations for the World League 2 in India with a 3-1 defeat by Malaysia in Kuala Lumpar. The Irish were aiming to avoid a whitewash by the hosts after losing 4-2 and 3-0 earlier this week. Ireland raced into an early lead with Shane O'Donohue scoring from a penalty corner after three minutes. Ahmed levelled on 18 minutes and Muhammad Razi made it 2-1 after the break before Ahmed sealed the victory four minutes from time. Irish coach Andrew Meredith made two changes to his starting line-up for the final warm-up game with goalkeeper David Harte and defender Paul Gleghorne returning to the side. "While of course I'm not satisfied with the result, conceding two unnecessary goals in the manner that we did, I am very pleased with the intensive work we have done in the last four days," said Meredith. "It's been an extremely intensive preparation for India and we have taken some major steps forward in the group processes." Ireland will start their World League 2 campaign against Bangladesh in New Delhi on Monday. Ireland: D Harte, J Jackson, R Gormley, C Harte, B McCandless, C Cargo, E Magee, P Gleghorne, M Watt, S O'Donoghue, M Darling.